Some years ago I got an email from a not-very-bright Art History professor in a Boston university, asking me to join a Panel on Olfactory Art at a gathering of his tribe. He casually remarked that “there is nearly no consciousness of using smell in art– several one-off works, sure, but no sustained practices that I know of.” I reminded him of the sustained practice of perfumery, to which his reply was “Sure, perfumers are artists but they are also arguably -in fact, don’t you argue this?- subject to the whims of accountants and the market and prevailing tastes.” In my experience no professions are more subject to the whims of accountants and prevailing tastes than contemporary art and, for that matter, academia itself, but never mind. At the time I saw this as part of a trend by the contemporary art crowd and their academic counterparts to get their mitts on smell and perfume: vision and hearing have been done to death, and they need new material. 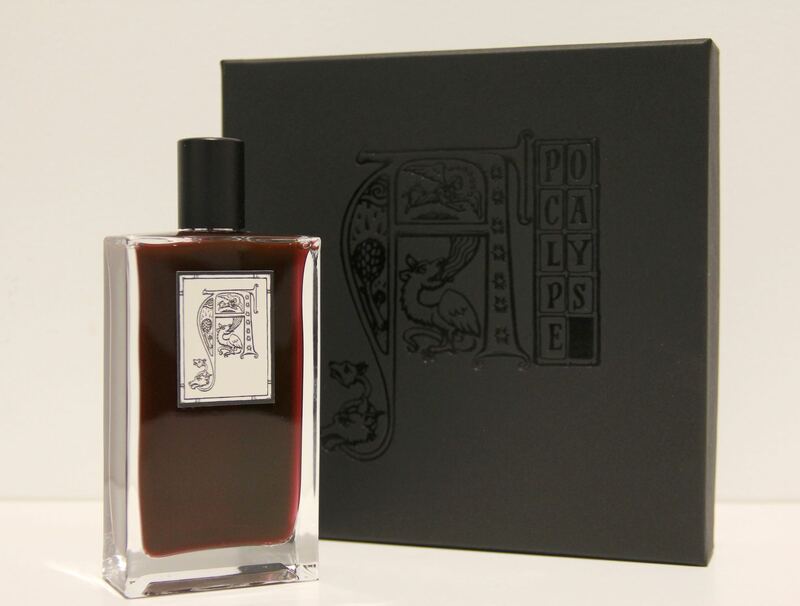 This trend continues to sputter fitfully: I just got samples of a perfume called Apocalypse, “by” two British artists I had never heard of, Thomson & Craighead. I say “by” because the fragrance was composed by perfumer Euan McCall, who used to be a manager at Penhaligons and two years ago set up as an independent perfumer. For all I know he may be talented, though given such a moronic brief it’s hard to tell. So far he has done only a couple of arty projects like this one. He is only mentioned once, with no bio, in the press release, while Thomson and Craighead get a paragraph. That’s because theirs is the idea behind the fragrance. What idea? The perfume is part of a show called Party Booby Trap (a palindrome, so frightfully clever), a show of “major new works inspired by sources ranging from nuclear waste to self-help literature and genetics.” The perfume is inspired by descriptions of the Apocalypse and is supposed to smell of blood, burnt flesh and the sea. It is meant to act as a reminder that the “commodification of end-times becomes a meme in some respects,” according to Thompson. It “exists in a limited edition of only fifty 100ml bottles each boxed with signed inserts and with a label design by Steve Carroll. A secondary scent associated with material decay is also sprayed into each box lining.” Glad I didn’t get the box. No price indicated, I guess you have to contact the gallery. What does it smell of? One part tomato ketchup and two parts hotel shampoo, which indeed you are unlikely to smell mixed together unless a major upset happens. Update.This is a negative review, contrary to my professed blog mission, because I think these dudes should be run out of town and am happy to help. To be clear, my policy towards indie perfumers and niche house is unchanged: no bad reviews. But I reserve the right to skewer pantaloons like these two, who have no intention of making perfumes worth smelling.